ADYAN (Lebanese foundation for interfaith studies and spiritual solidarity), is an interfaith organization whose founding members are Christians and Muslims. The foundation doesn’t have permanent staff, but tries to reach its goals through programs realized in association with its three networks: volunteers (40 young people), friends and consultants. Our actions, focused on networking and educational and cultural issues, is based on activities like seminars and workshops, trainings, lecturers, think-tanks, publication, developing and promoting of educational modules, and cultural activities (films, theater, interfaith tourism…). -By watching our videos on YouTube. Adyan is active in education, bridge-building, conflict prevention and interfaith and intercultural dialogue. 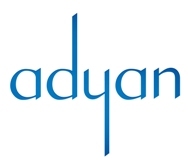 Through its projects, Adyan spreads a culture of mutual understanding between people from different religious groups, encourages the building and strengthening of solidarity and positive interaction among people belonging to different communities through reconciliation, dialogue and common commitment. Awareness: Lectures in the different Lebanese regions and through media programs promoting dialogue and solidarity attitudes (32 events in 2008). ALWAN: School modules for religious culture, interfaith relations and coexistence, consisting of workshops for students in secondary schools, to promote coexistence. Lebanese spiritual solidarity day: Yearly National interfaith encounter to provide an occasion for religious leaders and people from different religions to experience together spiritual commitment for peace. UNDERSTANDING program: an interactive and intercultural e-platform about cultures and religions, facilitating trust and mutual understanding between people. International: participating in encounters that deal with interfaith dialogue and peace-building, such: Mosaques, youth encounter for Mediterranean solidarity (Marseille, October 2008); The Pax Christi congress on Women and Peace (Paris, March 2009); Alliance of Civilizations Forum (Istanbul, April 2009). This entry was posted in Arabic, English, French, Middle East, Organizations, Partner and tagged interfaith studies and spiritual solidarity. Bookmark the permalink.